The Pepperdine Bible Lectures are right around the corner. 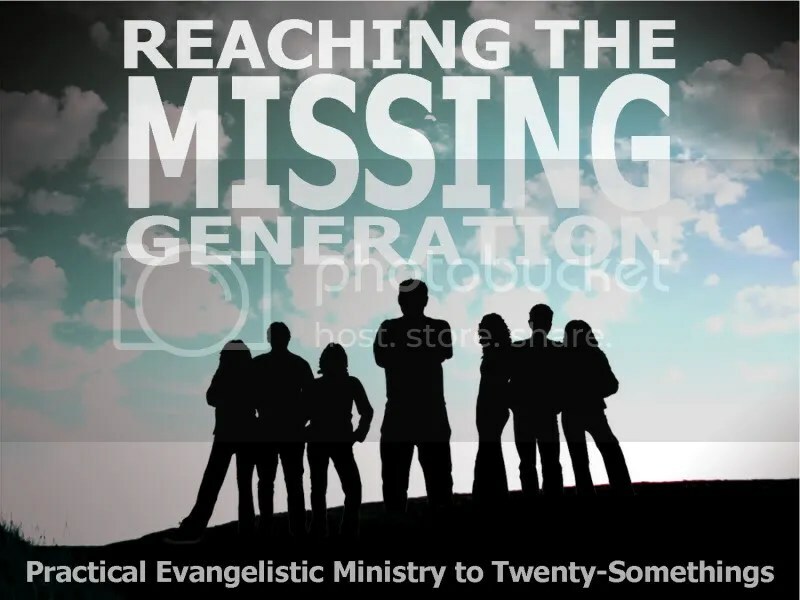 Airiel and I will be teaching a class Thursday May 3 at 3:15PM in Keck Science Center 130 (map) entitled “Reaching the Missing Generation: Practical Evangelistic Ministry to Twenty-Somethings”. We’re finishing up our prep this week and are looking forward to being in Malibu next. In our class we will share observations made regarding common characteristics among a few of the most evangelistically effective 20-something ministries in the United States. Data from national studies performed through Campus Ministry United will inform our content in addition to our own experience in evangelistic 20-something ministries both as students and leaders. I believe this is going to be a good class, and encourage anyone interested in learning how to better make disciples of young people to attend. Who will be in Malibu next week?